Before I write today’s post. I’d like to share a picture that I stumbled upon while looking for an apartment and a news story. This is a photo from a realty ad, that is described as (my loose translation) “A hostel for migrant workers”. 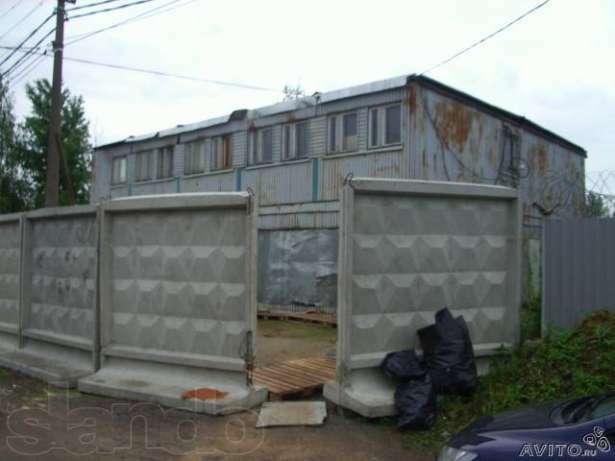 As you can see this is a trailer-(worse than a trailer)-like building surrounded by a solid concrete fence and with less than an appealing surroundings. The story: Yesterday I read about a fire at a textile factory. It wouldn’t have made the news if not for one detail – some workers died in than fire. They were workers from Thailand who were locked inside overnight. Locked! The ones who manages to get away were detained and are now deported to their home country. These are the two situations that clearly explain how migrant workers are treated in a country. I would say less than humane. Russians don’t like the newcomers and even despise them for being different, wearing different clothes and smelling different. But the living conditions and working ethics really don’t give them much of a chance. As many people around the world a lot of workers who come to Russia and are willing to bear this kind of treatment do it for the better future of their children. And this is my post today. But the real reason why I am writing tonight is because I read two articles in newspapers of Saint Petersburg and Moscow. The title of an article was “First day at the migrants’ class” and it was devoted to the burning issue of new elementary school students who start enrolling into Russian schools, but are (disastrously so, as it is depicted in the article) non-Russian speakers. First of all, I was appalled at the photo that went with an article – the children there were shown with black bars over their eyes which made them look as if they were criminals. Second, the language that was used to describe the situation (my translation again): “Russian parents are rightfully outraged…”, “There is a big psychological discomfort and irritation”, “Only some classes in our school are “white” and you can’t enroll there” and so on about how children of migrant workers must adapt, learn Russian before they go to school and assimilate among their Russian peers. I understand the general concern of parents – they are afraid of the unknown, for some reason think that migrant children are stupid and will hold their children back and just want the best for their kids… But the language! I am sure if this was said in the interview, the things that are being said at home are more explicit. Children must hear this at home and being children trust their parents’ judgment, bringing this hate to the class. It really bugs me, is that (to my knowledge) in Saint Petersburg there are only one or two institutions that prepare teachers of Russian as a foreign language and even more those teachers want to teach American or European students and get lots of money, and really few of them – mostly enthusiasts or volunteer students – go out to teach migrant workers (parents) and their children. With the growing ethnical tension in our society – surveys show that 54 percent of Russians have felt an increase in nationalistic sentiment in Russia – the ones who get hurt are the children who can’t speak Russian. And I can’t help but remember that countries like USA, Spain or France are facing the same issues and how they are dealing with them. We talked about ESL students, there are classes that are designed to meet the needs of all students… Of course, not everything is perfect. Why can’t our teachers turn to examples of best practices in foreign countries? And whenever I read something about how children are not welcome in Russia, I think about my own experience as a student in Providence, RI. I didn’t speak English, dressed funny and wouldn’t eat in the cafeteria. When asked why, I couldn’t explain that I was too afraid not to understand something and hold back the line. There was a guy with a megaphone and I was very scared of him. Now I am a university professor, and a lot of what I have today I owe to an 11 year old me and my experiences in a foreign country years ago. My heart goes out to the little children who are shy, afraid and feel unwelcome in class today.